The term Corporate gift or Corporate gifting has been in existence for a long time. Corporate Gifts are generally valuable items offered by the employer to their employees without any obligation as a token of appreciation or goodwill. Most large firms and organizations have policies for giving business gifts to its employees. So why do we need another list of ideas for corporate gifts in 2019 if it’s already done and dusted? The answer is simple, things change. The list that worked like a bible in the past might not work in the coming time. In fact, I’ll go to the extent of saying it definitely will not work with today’s workforce. Let’s forget about Corporate gifts for a minute. Open your wardrobe, don’t you see clothes that you’re never gonna wear again? Why? Exactly! They are out of fashion and hence are almost useless. Same goes for Corporate Gifts. Wake up! Don’t just give gifts to your employees because they’ve been labeled as the best Corporate Gifts in the past. You don’t want an “Eh” but a “Wow”. Don’t worry, I’m here to help you. But before I share with you the recipe for Corporate Gifts that will work with today’s global enterprise, let’s get some rules straight. The basic foot rule is simple: A little thought goes a long way. A personalized gift speaks volumes about the gift-giver and creates a lasting impact on the mind of the receiver. It ascertains a connection and celebrates the bond. Impersonal gifts on the other hand eventually end up in the trash can. But personalization doesn’t mean you have to go out of your way to understand their likes and dislikes. In fact, that might very well be taken as inappropriate. A dash of personal touch will do just fine. A handwritten note by the employer attached to the gift never fails to work. I’ve also seen people loving gifts that have their names engraved on it. I’m pretty sure it will work with employees too! The whole motive behind corporate gift giving is thanking your employees and offering a caring gesture. Do not end up making it a promotional act. You’re putting your efforts and money in creating (or planning) a meaningful corporate gift, so naturally, you might want to add your company name and logo on it. While a small company logo hidden somewhere might not do much harm but it would be better if you stay away from making your gift a marketing piece. If you’re able to offer a meaningful gift to your employees, they’ll remember you regardless. And if the gift is useless, it is better if they don’t. Once you start planning the corporate gifts, the first thing to do is to decide on a budget. While having a good budget is always great, but even if you don’t there are a lot of great corporate gift options that you can opt from without breaking the bank. Having a limited budget is still okay but compromising on the quality is just not. The gift you are giving to your employees directly impacts the reputation of your company. Spend wisely but do not be cheap. The reason why corporate gift giving is difficult than personal gift giving is because it comes with a lot of guidelines. You want to customize gifts and be innovative but the gift has to be appropriate in the business environment. There are a lot of things that can go wrong while giving a gift at the office. You don’t want to be too funny, too casual or too personal to name a few. Also, be extra careful that your gift is not seen as a bribe. Whenever you’re in a dilemma, use your own judgment. Ask yourself what would be the impression of the gift-giver if you’ve had received the same gift and act accordingly. How to present a great Corporate Gift? Nothing can beat a meaningful and at the same time an original gift idea. The tradition of gift-giving in big corporates and large firms has been there for decades. I can name at least thirty things that come to mind when I hear the term “corporate gifts”. So naturally, if you are planning to give something memorable you have to be creative. Gone are the days when you could make your entire team happy with a turkey on Thanksgiving or Diary on New Year’s Day. The tip is: Don’t play super safe, a little careful experimenting will do no harm. Although there are no rules as such, it might seem obvious that Corporate Gifts are given out around holidays or festivals. But you might want to reconsider that. Firstly, Cultural differences must be acknowledged. If you have a diverse range of people working in your organization, I will suggest you do a little research on the important events and festivals of your people and offer them gifts accordingly. 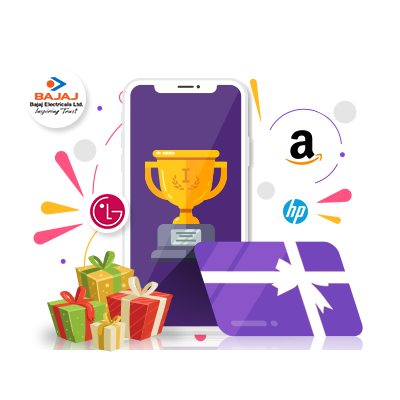 Gifts given out only during specific festivals such as Diwali or Christmas (as is commonly seen) might create a sense of dissatisfaction amongst employees who belong from diverse ethnicities and groups. Secondly, if you offer gifts to your employees during a time when everybody else is doing the same, it might just be taken as a trend/tradition and employees might feel indifferent about it. Once you have compiled the gifts and decided on the time, you can proceed to a nice presentation of your gifts. Always try to maintain a gift management procedure to avoid any last minute hassles. A nice presentation with a nice and formal wrapping along with a handwritten note is a great way to present the gifts. The best way to deliver a corporate gift or business gift is to deliver it personally. Even if not, ensure the gift is being shipped and delivered to the right address at the right time. Timely delivery is the essence of gift-giving and especially corporate gift-giving. Also, sending business gifts to the recipient’s office address is more appropriate than sending to the home address. 15 Handpicked Corporate gift ideas to make your Gift giving easier! The best gift that you can give your employees is the choice to decide what they want and where they want it from (without giving them cash of course!). Nothing can beat a versatile and flexible point-based rewarding solution. Free healthy food subscription, Onsite gym or membership to a local gym, Employee health and fitness mobile application. Electronic goods such as Smartwatches, Fitness Trackers, Portable Bluetooth speaker are favorites of the new-age employees. Hampers consisting Gourmet food, Sweets, Chocolates, dry fruits during festivities. Personal milestones like Birthdays, Anniversaries can be made special with roses and cake along with a handwritten note. Formalwear accessories combos. For men: Ties, Pocket squares, cufflinks, wallets. For women: Clutches and handbags. Gifting the music lovers with vinyl records, speakers, and headphones; sports lovers with sports gears such as custom sports tees, sports shoes or other accessories of a sport of their choice. Surprise your employees with an experience gift card. For example, luxury stays in a nice hotel, special dinner coupons, catered lunch at the office, or a spa treats etc. Employees spend a huge amount of time in their office. So, giving them the best quality office essentials is a great idea. For eg. Digital organizers, engraved metal pens, professional notebooks, reporters, pen drives, visiting card holder, memory cards, and cardholders. You can easily compile these items and gift them as a gift basket. We all love paid holidays! Getting a day off as a gift on special occasions such as birthdays, anniversaries, outstanding performance at work. Writing journals, custom stainless steel water bottles, photo frames, portable phone charger, Bluetooth speakers, laptop bags, file carrier etc. If you have employees who need to frequently travel for work, a very thoughtful way of gifting them would be to give them a flight kit with all the essentials. You can find some great suggestions here. Books are the best gifts! You can start by asking employees to name a book they want to read and sponsor those books as gifts. Alternatively, you can gift a Kindle. Offering sponsored enrolment to online classes on topic/course of their choice to employees not only makes for a great corporate gift but it also presents a caring image of the organization. Most people want to give back to the society. Making charitable donations by the organization on behalf of each individual employee is a gift most employees would love to have! 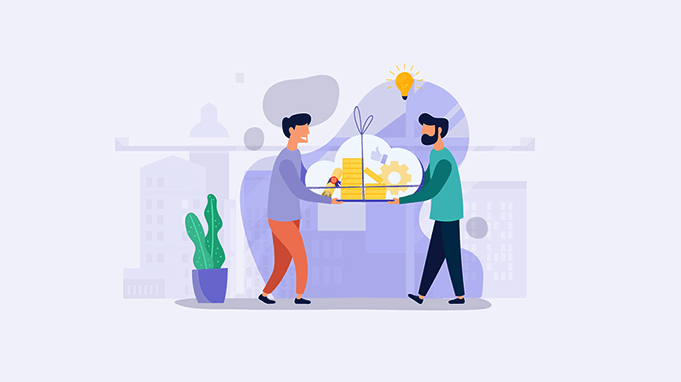 In a point-based rewarding system, each employee is part of an employee rewards platform/software where employer/management can allot points instead of money to their employees as gifts or rewards. 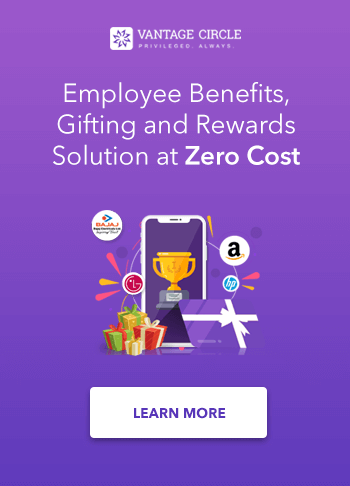 The employees can redeem these points earned by them and use it to buy goods/services of brands from different categories – like merchandise, travel, lifestyle etc – available on the platform. If you ask me, I’m 100% pro point based rewarding system. Flexibility and Versatility have to be the biggest advantage of a Point-based rewarding system. Even the most discerning and choosy recipient can be satisfied with it. Also, it is equally important to have a program that offers the employees a huge selection option from categories such as merchandise, travel, lifestyle etc. The point-based rewarding system gives the ultimate freedom to employees on their much-deserved gifts. They can choose what they want when they want and where they want it from! They also have the option to accumulate the points and spend them for a bigger reward later. A point-based reward system is especially beneficial for multi-national corporations, you can easily allot points to your employees in different parts of the world at the same time.No merchandise to deal with and hence no customs, no posting. Points can be redeemed in local currency against gift cards. A Point-based rewarding system works because of its high accessibility for both the user and the management. It is quite simple and user-friendly. You don’t have to wait for the right time to gift your employees, you can recognize them on-the-go. Also, no long-term planning is needed to execute the gifts. Corporate Gift giving no longer has to be a once in a year or twice in an event. With flexible budgeting option, you can distribute your reward budget and offer rewards round the year. Owing to its distinct features, a point-based rewarding solution enhances communication within the organization. It improves the effectiveness of the rewards and recognition program and acts as driving forces of employee engagement. This article is written by Darsana Dutta. Darsana works as a Content Creator in Vantage Circle. She is a Human Resource Management enthusiast, she loves keeping herself up-to-date about latest trends around Employee Engagement. She is a painter, a passionate book-worm and an Aquarian inundated by nature.